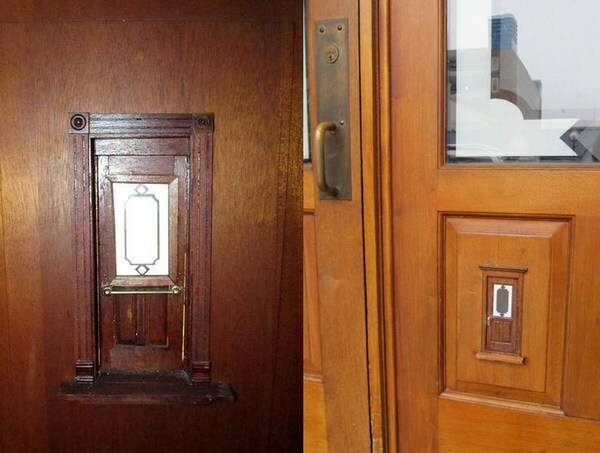 Fairy doors have been around for some time now and they have lost none of their magic. Knowing their appeal, a US artist has created all sorts of fairy access points in a city. Jonathan Wright has turned Ann Arbor, Michigan into the fairy capital with his brilliantly named project, Urban Fairies Operations. 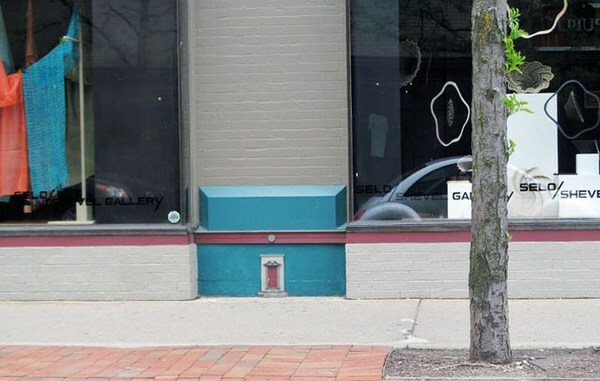 Wright has installed tiny fairy doors at various locations around Ann Arbor to the delight of observant children and grown-ups. Better yet, behind each of the unique fairy doors lies a miniature world, meticulously built and including all the bits and pieces fairies need. 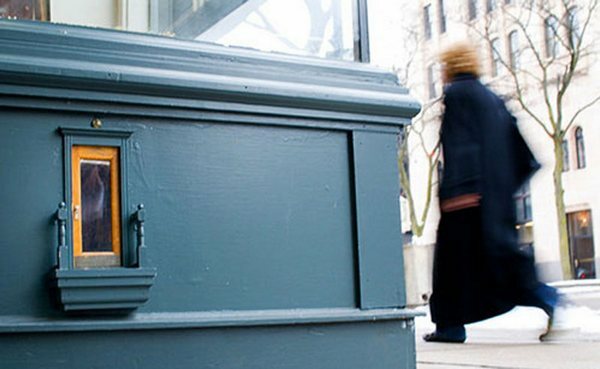 The first fairy door was located in a cafe in 2005 and since that time, they’ve been popping up all around town, from the local theatre and library to the hospital and the market. 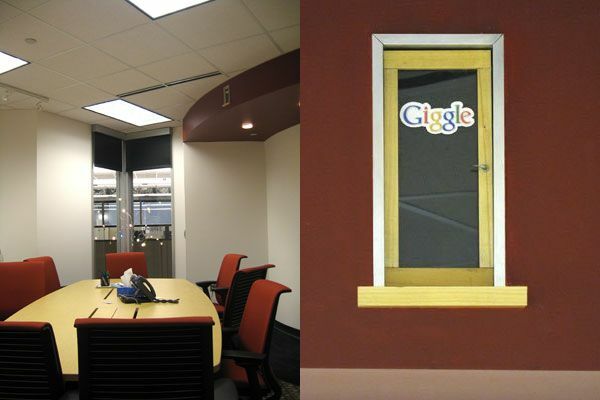 My favourite is the fairy door at the Ann Arbor Google office, positioned in a ceiling fitting in one of the meeting rooms. 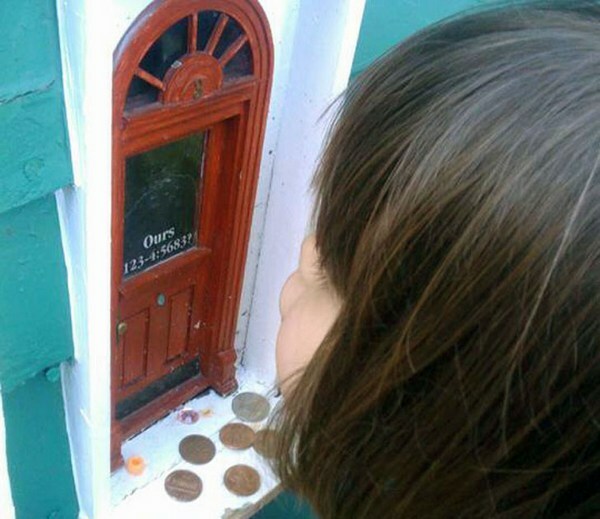 The fairy door has a neat little sign hanging on it that reads ‘Giggle’, proving that you’re never too old to believe in fairies.